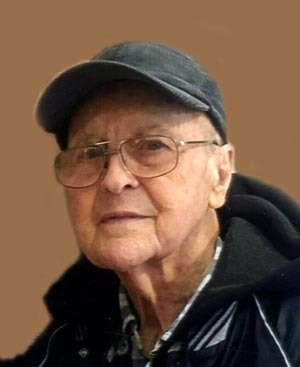 Melvin ‘Jake’ Penner, age 86, of Grand Island, formerly of Aurora, passed away on Friday evening, October 5, 2018, at Memorial Community Care. Funeral Services will be held 10:30 A.M., Tuesday, October 9th at the St. Mary’s Catholic Church in Aurora. Rev. Loras Grell will officiate. Visitation will be from 5 - 7 P.M. Monday at St. Mary’s Catholic Church, with a Rosary at 7:00. Memorials may be made to the family to designate at a later date. Higby-McQuiston Mortuary is in charge of arrangements. Condolences may be e-mailed to the family through the mortuary website at higbymortuary.com. Melvin ‘Jake’ Gene Penner, the son of Fred and Genevieve (Austin) Penner, was born in Stockham, Nebraska on January 8, 1932 and passed away in Aurora, Nebraska on October 5, 2018, at the age of 86. He attended school in Stockham thru the 5th grade and when the family moved to Aurora, he completed his education at Aurora High School. On May 5, 1952, he was united in marriage to Elaine Strotman. They had three children: Vicki, Cheryl and Greg. Jake was the Parts Manager for the Stan Allen Motor’s in Aurora. Jake was a former member of St. Mary’s Catholic Church. He was preceded in death by his parents; daughter, Cheryl Ryan; two brothers Ernie and Le Roy ‘Fritz’, and three sisters, Thelma Fenster, Dorothy Newlun and Anne Medaris. Those left to cherish his memory are his wife, Elaine of Aurora; daughter, Vicki (Jerry) VanAckeren of Lincoln and son, Greg Penner of Grand Island; son-in-law, Ed Ryan of Overland Park, KS; 8 grandchildren; 10 great grandchildren; brother, Curly Penner of Aurora and several nieces, nephews and other family and friends.